Chip’s and our own Outer Banks Wine University presents an opportunity to learn all about pairing wine with chocolate! In this class you will enjoy 6 different wines paired with a selection of 6 artisan made chocolates while experiencing the joys of combining two of life’s great pleasures. 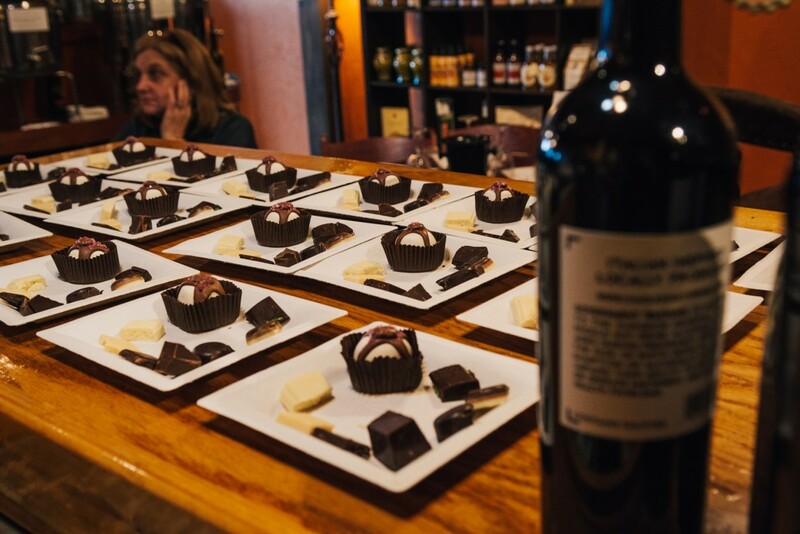 You’ll be guided through each pairing, learning about what cocoa percentages mean and how best to pair your wines, as well as having the chance to rate the pairings. There will be chocolates that will appeal to the preferences and tastes of every person. This is a fun, interactive social event and the perfect excuse to eat chocolate (and drink wine!). Prepare to have a blast and indulge in the world of fine wine & chocolate! If any tickets remain unsold, they may be able to be purchased at the door at a higher ticket price. Check back for availability as the event draws closer.